1. Don’t let your engine get low on oil. Your engine needs to be lubricated well to prevent overheating. If your mower runs out of oil and is ran anyway, you WILL be either buying a new engine or a new mower. CHECK YOUR OIL BEFORE EVERY USE! 2. Don’t let your radiator coolant get low. This only applies to liquid cooled mowers. Engine will overheat and seize up without coolant! You need to check your coolant level BEFORE EACH USE! 3. Don’t suffocate your engine. Keep dirt and grass cleared away from the engine cooling fins. 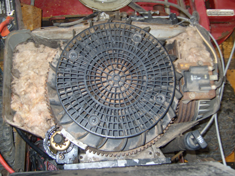 Your engine needs air circulation to prevent overheating. If your engine overheats it can lock up, or even worse, it can catch on fire! 4. Don’t hit tree stumps. If you hit a tree stump with a push mower, you will most likely bend your blade and possibly crank shaft. This would result in a very expensive repair. 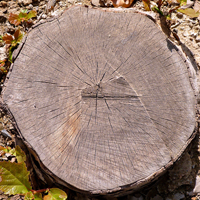 If you hit a tree stump with a riding lawn mower or zero turn, you will bend the blades and possibly bend the mower deck or break the spindles. This will also be a very expensive repair. 5. 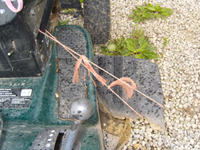 Don’t try to use your mower to quickly re-spool rope or barbed wire. While your mower will get the job done a lot faster than you could, this is not a very cost effective method. You will probably end up needing a major repair. 6. Don’t operate your mower if safety equipment is not working properly. Do read your manual and follow all safety instructions. 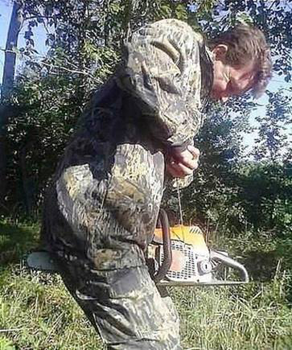 Please check all of your safety equipment before you start your mower. 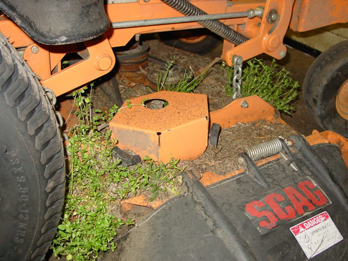 Most accidents involving mowers could have been prevented if the operator was following safety instructions. There is no machine worth one of your loved ones getting injured or killed! IN THE HOUSE WHILE YOU ARE MOWING!!!!! 7. 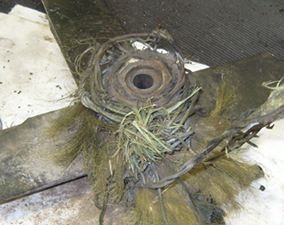 Don’t let your mower deck get clogged with grass and debris. 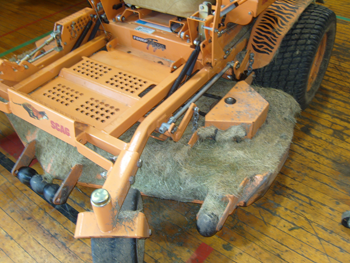 Remove dirt, grass, and debris from top and underneath side of your mower deck after each use. This will keep your pulleys and belts moving freely without overheating. You can hose off your deck. When you’re finished, just engage the mower blades and let them turn for a few minutes to induce drying and to re-heat the bearings. 8. 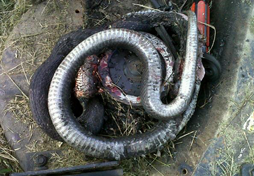 Don’t let animals live in your mower. Often times critters make nice little homes in equipment, especially when the equipment is left outdoors or in a barn for the winter. Air filter compartments can make cozy places for mice to live. 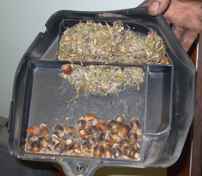 Make sure you check your air filter and other engine compartments regularly for signs of animal nesting. 9. Don’t use unsafe mower blades. 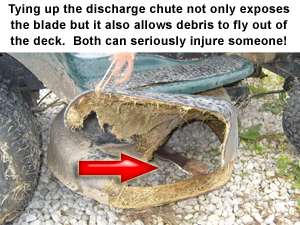 There are many things that can make a mower blade unsafe. 1. Sharpening them too many times – If a blade is worn too thin it becomes weak. If you hit something, the blade could break off and injure someone. 2. 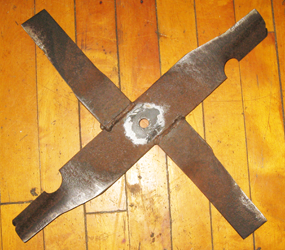 Bent blade – If a blade is bent it will be out of balance. This can ruin your bearings and scalp your yard. 3. Cracked blade – If a blade is cracked and you hit something it can break off and injure someone. 4. 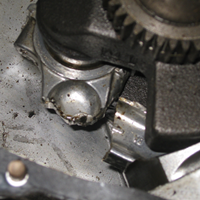 Broken blade – A broken blade will be out of balance and ruin your bearings. You also risk the blade breaking off completely and doing serious property damage or injuring someone. 5. Altering the blade – Lawn mower blades are manufactured with strict standards and tolerances for your safety. Altering can cause property damage, personal injury and death. 10. Don’t forget regular maintenance. Regular maintenance is very important. Your mower will last much longer if it is tuned up each year. Riding Mower/Zero Turn: Change engine oil, oil filter, air filter, pre-air filter, spark plugs, and fuel filter. Clean the engine cooling fins and mower deck. Check deck belts, bearings, and idlers, transmission belt and idlers, tire pressures, charging system, and battery. Lube all grease fittings, level mower deck, sharpen and balance mower blades. 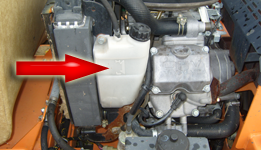 Push Mower: Change engine oil, spark plug, and air filter. Clean engine cooling fins and mower deck. Check cables, check self propel, lube machine, sharpen and balance mower blades. 11. Don’t leave gas in your equipment for more than two weeks. The new blended fuels that you get at the gas station are a mix of gasoline and ethanol. 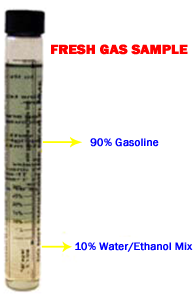 The ethanol blended into these fuels not only absorbs water, but also evaporates leaving water and a substandard fuel. The evaporation causes the fuel to form gum deposits quickly which clogs the fuel system and makes your equipment run poorly. If water sits in the fuel system long enough, damage to internal carburetor parts as well as engine parts is inevitable, especially with small equipment like trimmers and blowers, and is usually catastrophic. We’re not saying that the fuel you’re getting is bad. If you follow these rules,you shouldn’t have any problems. 12. USE COMMON SENSE while operating ANY power equipment! Riding mower ran into mower tarp and got wound around the blades. Can this be fixed? We do see this often, clothing, twine, netting, plastic bags. It usually doesn’t cause any real damage. The blades will need to come off and the debris removed. The blades and spindles need to check out for damage. There is a possibility that the fiasco could have bent the deck, which can usually be straightened. I have a question. We have a riding lawn mower we got used, my husband insists it’s fine to mow our shooting range that has very sparse grass and is mostly glacical silt. It’s made the belt smoke and sound awful. I think we shouldn’t mow out there till it’s more established grass. What are some problems that arise from mowing on basically dirt. 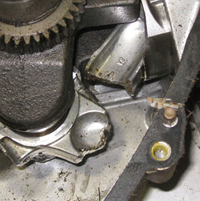 Dust and dirt can definitely do damage to bearings in deck spindles and idler pulleys. 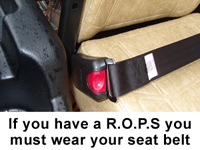 It is our experience that a smoking belt is due to something wedged in belt path or an idler pulley seized up. We would suggest not mowing an area of mostly dirt or unestablished grassy area until grass gets well established. In the mean time, maybe a walk behind trimmer would do for knocking down the range area. It also sounds like it is time to have the mower looked at and if financially feasible, be repaired before more damage is done. Thanks for your inquiry. Let us know if we can be of further assistance. I ran over some wire fencing with my mower, cleaned it all out and now the pto will not engage. What direction should I take from here? first and foremost would be to make sure all wire has been removed from spindles. remove spindle belt and see if all spindles spin free. you don’t say whether pto is manual or electric. if electric, is the clutch engaging? If manual and engaging kills motor, there is still debris around spindles. if pto engages (manual) but blades do not turn, probably a belt off somewhere. I have a yard sale riding mower. I now know why it was cheap. Bad deck spindles-replaced. Bad belts replaced. I just found out that the main pulley from the engine is bent along the rim. This I suspect is from someone else trying to remove it. Any suggestions other than replacing it? Is any.chance of straightening it? It needs to be replaced. At the manufacturer, they don’t use never seize on shafts. 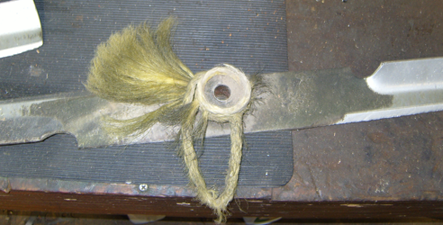 This causes the pulley to rust to the shaft after years of use. The reason to remove it is to replace the drive belt for the mower. The belt can be replaced by removing the motor to gain access to belt and if yours has a good drive belt on it, this is probably what they did. The pulley will be destroyed getting it off the motor shaft, but replacing it is the only viable option. Thanks for using us. Thanks for helping me understand that regular maintenance is a must. As you mentioned, it will keep the equipment lasting for a long period of time. I will share this information with my best friend since she will be buying an equipment this coming weekend now that she has moved into the property which has a lawn for the first time in her life. Thanks for mentioning that your lawn mower will last much longer if you have it tuned up by a professional every year. My husband and I are thinking about buying a new lawn mower soon, and I want the investment to last as long as possible. I didn’t realize they needed to be tuned up to extend they’re lifespan, so thanks for letting me know! Help please. I have a cub cadet rzt 54 riding mower all in good shape with new spindles, new deck belt, & blades. As I was finishing mowing my lawn I hit the front left corner of my deck on a stob & it seemed to push the deck back because the belt is loose. The front hanger seems ok & I can’t seem to recognize anything obviously bent but only that the belt is loose. The tension spring is tight & I am at a loss. Whatever help you can help with would be appreciated. John, some issues can be figured out by listening to the customer. Your issue is informational but hard to determine what might be out of whack without seeing it. My first check would be the front hanger assy. Not sure how your particular one is made but that would be the first point of stress to the deck when you hit something going forward. Again, without seeing it, I can only speculate. Thanks for your post. If you can bring it by the shop, I can take a quick look at it and give you and idea on repairs.